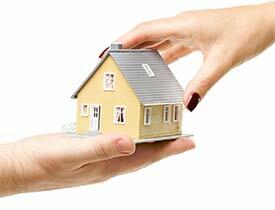 Find out what our home pest control customers say about our services by reading the comments below. 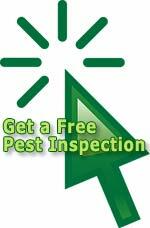 Check out our commercial and business pest control customer testimonials too. "I'm writing to commend your employee Jake for his service on July st at [address removed] in Lincroft, New Jersey. I am a realtor for Heritage House Sotheby's Realty in Middletown, New Jersey. My client is purchasing this property and during a home inspection, carpenter ants were noted. A further inspection by Allison determined the treatment appropriate for the insects. My buyer was concerned about the ants and wanted to be present during the treatment. When Jake arrived the seller, two of the seller's agents, the buyer and I were present. This did not faze Jake in any way. He introduced himself and started the treatment. Jake was very knowledgeable about carpenter ants and their habits. He was able to explain in easy to understand terms to my nervous buyer how he was treating, where he was treating and why it would be effective. He explained what to look for as evidence of carpenter ant activity and spoke about his observations as he made the treatment. In my opinion, Jake went above and beyond what would be expected of a Pest Control Serviceman. He was professional, knowledgeable and provided excellent customer service. He is a great addition to your team. Thank you for such great service! If the opportunity arises, I will definitely recommend Allison because of your employee Jake." "Allison Pest Control was referred to us from one of your customers in Eatontown who was very pleased with your service. First, Harry came out to our home to do an inspection and was very informative of what had to be done and what would be done." "Rob Logan serviced our home on Monday for termites. We also were very pleased with his work; cleaning up after the job was done; and most of all, for the time spent answering questions and explaining what he was doing as he was going along." "We just wanted to thank you for your professionalism - from office staff through to the service at our home." "In today's society you don't usually find people that take pride in their jobs. Well on Tuesday, I met that person. His name is Don Davidson." "My husband and I were at our wits end with a problem with ants. Don was very informative on what ants we have and the course of action that we needed to take. I have also have twins who are 3 1/2 years old and they had constant questions the whole time he was there. He was so sweet and kind with them when he left my children said 'We like Mr. Bugman Don'." "I just wanted to take the time to compliment Don on his knowledge and genuine personality." "Just thought I would let you know how satisfied I am with the service I have received from your staff thus far. Satisfaction does not merely come from the 'bottom line' - having my insect invasion under control. Granted, I am no longer dread going into my basement! Excluding yourself, I have only dealt with the woman who has scheduled my appointments and Tom (Pest Control Technician Extraordinaire). The courtesy and professionalism which have been extended to me have been appreciated and should not go unnoticed. My requests and queries have always been met with timely and friendly responses. I guess what I am trying to say is that I'm quite pleased with the service I have received and have confidence in recommending Allison Pest Control to my future neighbors should the opportunity arise." "I would like to send my sincere THANK YOU to Allison Pest Control but more specific to Steve. He recently treated my garage for carpenter ants and did an excellent job. I was at work, while my mother was at my home and he spoke to me on the phone and explained how carpenter ants and termites work along with the treatment to remove them. My mom having worked for Atlas Exterminating Company years ago could not have been more impressed with Steve's work ethics. I appreciate the quality of work along with the information that Steve provided." "The service from all your employees has always been excellent. However, yesterday I think I received the best service I have ever received from any service individual." "Jason Hill came to my home to check for bugs in my bedroom on the second floor of my home. He did fine some sort of harmless bug in my bed but told me those bugs were harmless and that there is not spray for them. I asked him what I could do to prevent any further bugs in my bed. He told me the best thing to do was to periodically vacuum under and around the box spring." "I was unable to do that because my vacuum cleaner no longer works. I had purchased a new vacuum cleaner but couldn't figure out how to assemble it. I told him I needed to wait until one of my sons came down to put it together for me." "Jason could see that I would be unable to sleep in my bed until I got that new vacuum assembled. Here is what Jason did. He put the new vacuum together. It didn't take long but he was very kind to do it. Then he vacuumed the box spring and put the bed back together. I was so stunned.!" "I have never gotten such good service from anyone. Thanks so much for having such a valuable employee!" "I would like to compliment two of your employees that have been here this past week. Tom S. was here about the termites - very thorough, informative, and polite. Danny was back again for the camelback crickets and he too is a very well informed, thorough, and polite representative of your company. It is a pleasure to do business with you because of your employees and I had to write to tell you that." "I am writing you concerning your employee Steve Roughan. He was very helpful in educating me on my ant problem. I was seeing ants for at least one month every day. I have not seen one in over four days. After Steve did the fogging and spraying no ants survived. Thank you for having very concerned employees on your staff. Also your employees at your office were very, very nice too."